This week is pretty much “Love” week right? 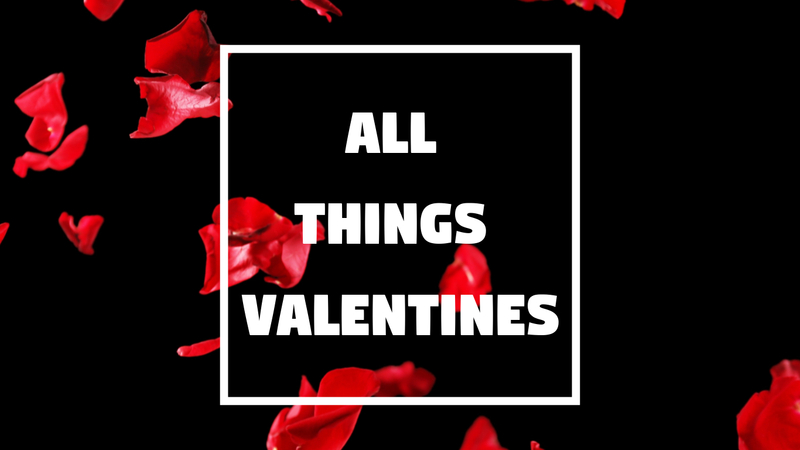 Because Valentine’s day is approaching and we thought we would share some of our suggestive Valentines gifts that you could try cop for your significant other. The Jordan Brand recently dropped these Air Jordan 8 in time for Valentine’s Day which was one of the most anticipated releases of the month of love. Fully dipped in red, these have hidden messages scattered throughout like the words “Loves me…” and “Loves me not..”. A heart shaped tongue logo also paves its way, along with special rosed-out tissue paper and a retro-inspired box, this is a perfect Valentine’s Day gift won’t you agree? After dropping a cozy holiday collection, Beyoncé has followed that up with a Valentine’s Day merch capsule. The new collection features everything from T-shirts and hoodies to phone cases, with references to some of her best-known lyrics and love songs appearing throughout.Some of the stand-out pieces include a black hoodie with a “Rocket Til Waterfalls” graphic on the front, and a picture of Beyoncé on the reverse. You can get these at the Beyoncé web store. Nike delivered a completely different version of the popular Air Max 98 silhouette to celebrate Valentine’s day. Covered in a “Gym Red” colorway, this latest Air Max 98 has a blend of red and white with an accessible look. Nike’s designers have also equipped the shoe with 3M’s “reflective trimming,” allowing for a unique shine in certain lighting. Of course by now you should know that Castle Lite are unlocking Chance The Rapper on the 30th of April, along side Frank Casino, Shane Eagle and Nadia Nakai. The event is taking place at the Ticketpro Dome and we’re sure that surprising your boo with a pair of tickets would be pretty sweet. Last month adidas Originals revived their #ADICOLOR campaign which consists is their most iconic apparel franchise. Cultivated in the 70’s, the range is an instantly recognisable symbol of sports and street culture which returns in 2018 remastered for the present with the confidence to playfully celebrate colour for a new generation. Cop that all red combo for him/her. Cop here. Probably the biggest superhero movie is premiering on the 16th and we surprising your person with some premiere tickets is the way to go. Do it for Wakanda! You can’t go wrong with the classic mixtape. Compile a dope love themed playlist for him or her and see how much they’ll appreciate your expressive song choices. adidas Originals just dropped these babies which is an EQT sneaker that translates the iconic ‘90s line’s distinctive design language into a new high-top basketball context, introducing the EQT BASK ADV silhouette. Perfect for him.